They have some of the best fans in the world, if not THE best, and probably one of the most frustrating football teams to support. 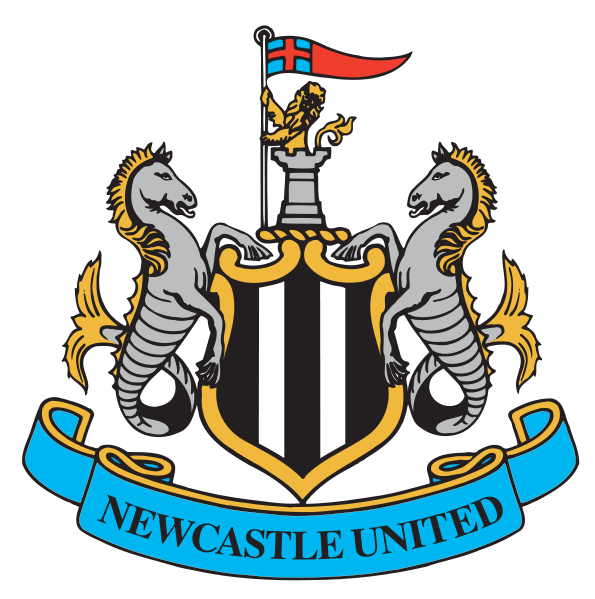 That’s right, I’m talking about Newcastle United Football Club, the mighty Toon Army. I’m from Yorkshire, but my Dad, and a number of my family are from Newcastle, so I’ve pretty much supported them for as long as I can remember. My first memory of being a Newcastle fan was when I was around 7 or 8, and my Dad was on the verge of tears about Kevin Keegan. I didn’t understand what the hell he was going on about at the time, but a few years later I understood why, it was the season we threw away a huge lead in the title race to Manchester United. The season with that famous, ‘Kevin Keegan meltdown’. Although I’m sure that he wasn’t the first manager to feel the pressure from Sir Alex Ferguson. Through the years, I’ve experienced many highs, and many lows as a Newcastle fan. Through the wonderful Sir Bobby Robson era, to the great Champions League nights, to the goal against Portsmouth that made the legend that is Alan Shearer the highest goalscorer in Newcastle United history. Then came for me, the slow decline, that ended in a heartbreaking day at the end of the 08/09 season at Villa Park. Something I never thought that would happen to my beloved club. You guessed it, relegation. I don’t think you could really blame one person for the way we went down, truth be told, it was a collection of things that had been happening for a few years. Bad signings, off the pitch antics, bad appointments. They all had a help in hand in the matter. At the end of it we weren’t playing as a team who showed the desire of wanting to stay up. I’m sure, like many, I had my doubts whether Pardew could do as good a job, if not better as what Hughton did. A year down the line, I’m sure that I’m not the only one admitting that I was wrong. What Pardew has done has been nothing short of miraculous, especially in the short amount of time that he’s been there. He’s brought good vibes back to St James’ Park. (Yes, I’m still calling it that. It will always be St James’ Park). I for one, hope that Pardew gets the chance to succeed at Newcastle, be given the time to fetch in his own players and be proven that he can bring success to back to Newcastle. I mean, if you look at the signings that he’s fetched in so far, they’ve been truly outstanding. Cabaye, and of course, Demba Ba are just a couple. So given the time to fetch in more signings would be very interesting in terms of how far we can progress under Pardew. I recently heard an interview with Steven Taylor about what it was like training for Pardew. Taylor said that Pardew was a perfectionist. He trained the team so hard, from defence to attack. This has clearly shown with the football that we’ve played so far season. A determination to defend, yet the determination to go out and score as many as we can. For me, we don’t neccessarily need to do some major business, (in this transfer window) anyway. Ideally, for me, I would love to see us sign a striker and a centre back. I think that this’ll help our goal. Demba Ba, has been one of the best strikers in Europe this season in terms of his goal to game ratio, so he’ll be a big miss for this month while he’s away with Senegal. So I feel we need to sign one striker who can match his goalscoring ability. There’s been a lot of talk today in the papers about a possible return for Andy Carroll. Personally, I feel a possible return for him would go down badly on Tyneside, but I definitely wouldn’t mind seeing him back. In the game against Manchester United it showed that Demba can play along a big striker, and that it works very, very well. So I reckon that a partnership of Ba and Carroll would be wonderful, and would definitely get a lot of goals. I definitely feel that we need a centre back aswell, for cover more than anything else. I think the Taylor/Colloccini partnership proved that it can be one of the best in the Premier League during the first months of the season, so it was a monumental blow when I found out that Taylor was out for the season. This worried me greatly, but I’ve been very suprised with how Mike Williamson has done. He’s slotted in extremely well with Colloccini, so for me, a centre back that we can use for cover would be amazing. There had been some talk abouot a possible move for Christopher Samba, who I rate as an exceptional defender. The only problem that I find with this is, what will Newcastle do when we have all defenders fully fit? This pretty much concludes this blog, I hope whoever has read this has enjoyed reading this, even if you’re not particularly a Newcastle fan, (which I know one of you who reads this won’t be). Please feel free to leave me a comment, or a message on Twitter. You can find me @_craigstokes.